Their two albums of acid psychedelia are highly rated by some. Their first album is consistently good throughout and is certainly recommended. A wide range of material is held together by tight playing and some fine guitar/organ interplay. Unfortunately, the second album pales by comparison and is largely uninspired with no real highlights. The band came from Chicago and during the mid sixties were a popular Top 40's lounge group, going by the name of The Exceptions. After a couple of years of regurgitating the latest hits, they were getting bored and were looking for room to explore their musical talents, when producer Bill Traut (of Dunwich Records) approached them with an offer to record an album of original material. 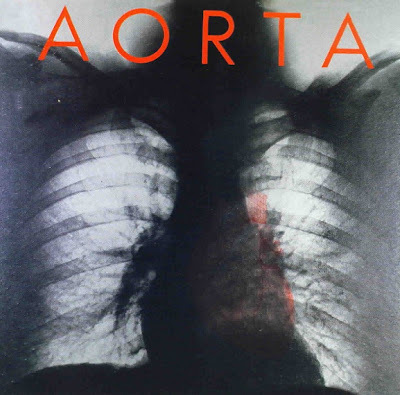 All of the group with the exception of Pete Cetera lept at the chance, and with the bass slot now filled by Bobby Jones, they renamed themselves as Aorta. Curiously their first album was released the same month as three other Chicago acts signed to Columbia Illinois Speed Press, The Flock, and Chicago (who incidentally included Pete Cetera). This was a marketing ploy to push a "Chicago" scene and all four albums entered the Billboard Top 200, with Aorta's peaking at around 168 and remaining in the chart for a respectable six weeks. Incidentally, the basic tracks and vocal tracks for the first album were recorded at Great Lakes Recording studio in Sparta, Michigan, with one track Sprinkle Road To Cork Street referring to two roads in Kalamazoo, Michigan. Been and the Donlinger brothers had all formerly played in The Rotary Connection, another Chicago act, and Been and Jim Dolinger were later in Lovecraft. Nyeholt also played with The Rotary Connection during a brief period between the two albums, and Billy Herman went on to play for New Colony Six. Michael Been later played with Moby Grape members Jerry Miller / Bob Mosley in Fine Wine, and is still active on the music scene. The compilation Psychedelic Dream features three tracks from their first album:- What's In My Mind's Eye, a beautiful piece of orchestrated pop-psych; Sleep Tight, a rather disjointed song which wasn't one of their finest moments but ended with some pleasant keyboards and Catalyptic, a cover of a Colours's song, which is another keyboard dominated number with some occasionally scintillating guitar. The latter track has often puzzled collectors, as it fits neatly into the 'concept' of Aorta, but is pre-dated by the Colours's version. In fact, Bill Traut had received a demo of the track, and suggested it to Aorta for their album, but other than that there's no direct link between the groups. Thanks Oleg, despositfiles are valide , hope you will post other pearles, we miss you in our blog world friend!!! What great psych this is! Sophisticated, Beatlesque, catchy, melodic, relatively intense, & complexly layered & textured. Outstanding lead guitar.